Minister of Planning and Development Camille Robinson-Regis. 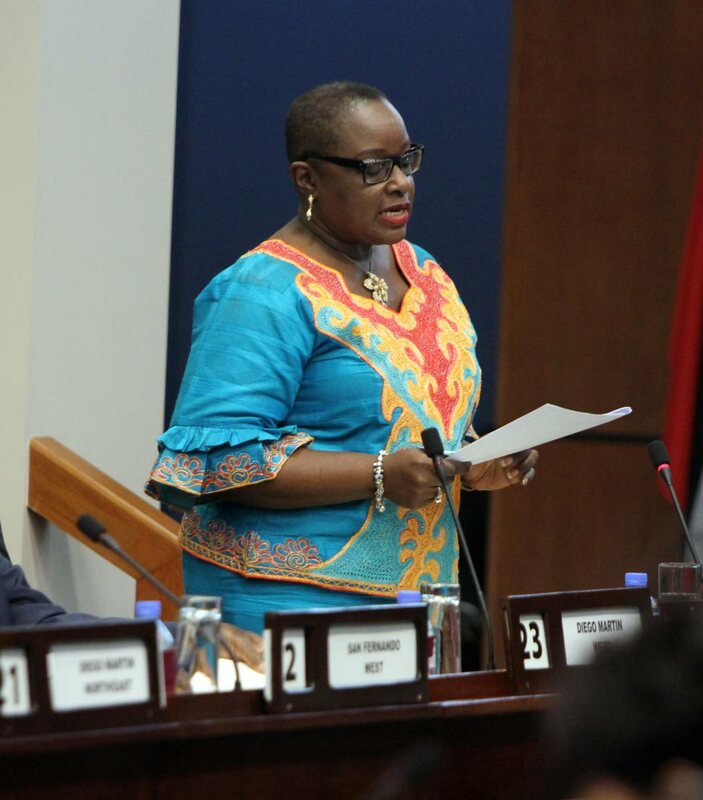 Cabinet is soon to approve additional areas of forest for protection, Planning Minister Camille Robinson-Regis said in a statement on Thursday, on the heels of a recent Newsday story about land degradation in northeast Trinidad. She expressed a deep concern over recent media reports on the threat to tree cover and waterways in East Trinidad posed by squatting and illegal quarrying. The minister said such activity was not confined to the Melajo Forest Reserve and areas along the Toco Old Road, the areas identified in the story. A number of forest reserves suffering significant loss of forest cover as a result of such illegal activity have been identified by her ministry’s Improving Forest and Protected Areas Management Project. Robinson-Regis said TT has a rich biodiversity of many species of flowering plants, mammals, amphibians, insects and fish, plus several types of natural forests ranging from coastal mangroves to montane forest. These contain several species of wild flora and fauna which, if not protected, could face extinction. She said the country’s biological resources are economically important to all sectors of society, mainly through agriculture, fishing, recreation, tourism and culture. However, these illegal activities undermine government plans such as Vision 2030, where the environment is placed at the centre of economic development. Robinson-Regis said the ministry has shown its commitment to saving the environment, by designating the scarlet ibis as environmentally sensitive and announcing a ban on all Styrofoam products, due next year. “In keeping with that mandate, therefore, I wish to assure the national community that we will not condone the reckless actions of a few which are to the detriment of many. Cabinet will soon consider additional forested areas deserving of governmental protection and identified under the new National Protected Areas System Plans, Robinson-Regis said. She asked all citizens to be watchdogs for the environment and work together for its preservation, saying environmental pride is national pride. Reply to "Minister: More forest protection soon"